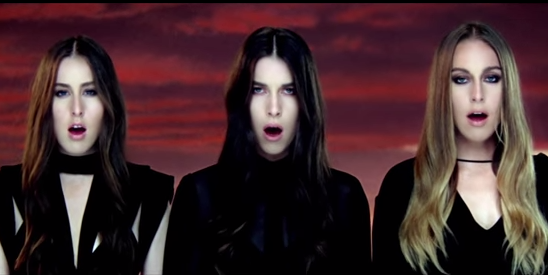 The First Echo: When Bad Music Videos Happen to Great Pop Songs: Calvin Harris & HAIM's "Pray To God"
When Bad Music Videos Happen to Great Pop Songs: Calvin Harris & HAIM's "Pray To God"
"I've got it!" cried the music video director. "Let's have these Wilson Phillips wannabes stand still and give us their best Morticia Addams. And we'll throw some animals in there. And then they're on horses! With mist!"